We have been contacted by Mr Brice Stratford of Lyndhurst who is compiling a book of New Forest folklore. He is appealing for help and is very keen to obtain information from locals with regard to this topic. He is hoping to publish his book at the end of 2019. If after reading his request you feel that you have something that you can contribute please note he needs the information by the end of February. The below link will take you to an Historic England page where a WW1 memorial to Australian troops has recently been rediscovered on Salisbury Plain. 14th September. Lyndsay Stride, a New Forest Commoner from a traditional commoning family, is a Trustee of the Foundation for Common Land who is also working in education & interpretation and currently co-ordinating a project called Commoning Voices. 9th November. Nick Saunders. 1918. How the final year of the Great War affected our community. This talk will review how WW1 and the events in 1918 played a major impact on our district. 1918 saw the highest number of casualties in a single year for the whole war for our town. It will also look at the bigger picture of world events in the last months of the war, some of which have shaped the world we live in today. 8th of February. 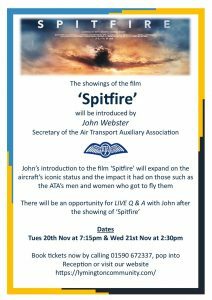 Friends of New Forest Airfields. The New Forest airfields during WW2. 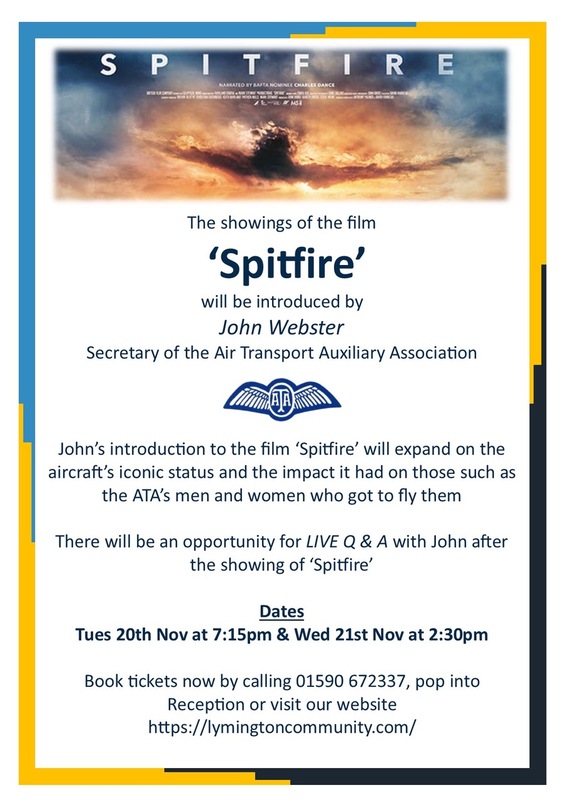 This is to let you know that there are two aviation talks at East Boldre Village Hall on the evening of Friday 29th of June. See below for details. Station in East Boldre to learn to fly for the Great War. country’s first fatal aircraft crash. The talk is in two parts and covers the history and development of Southampton from Roman times until today. Apart from the stories of visiting kings, a giant, Jane Austen and the Luftwaffe, who all left their mark, we shall explore the remarkable mediaeval remains of this historic walled town. Part one covers Southampton 0-1850; Part two covers 1850-the present day. Salt has been produced along the Lymington coastline since at least the Iron Age and potentially even earlier. The methods of production changed in the sixteenth century and the heyday of the industry was between the seventeenth through the eighteenth century. The final production took place in the 1860s by which time it was uneconomic to produce salt from sea water that required coal to be imported as a fuel. The local industry could not compete with salt imported by train from the geological salt deposits in Cheshire. The talk will look at recently discovered new documentary evidence and results from archaeological excavations that further our understanding of the industry and its impact on the local landscape. Visitors to the New Forest are quite ofter surprised at the range of industries that once benefited from the varied local geology, forest and timber resources and the needs of emerging urban populations especially in the post-medieval period. There is a ready appreciation of the ship and boat building industries that have continued into modern time. However, the New Forest in the Roman period was in places characterised by an extensive Roman pottery industry that exploited the local clays and woodland resources. Similarly, these resources were also exploited in the late medieval and modern periods for brick and tile making. The sea-salt production industry was extensive possibly from the Iron Age. Iron production has also taken place along with cement production, exploiting coastal resources. The talk will look at recent advances in our knowledge. From Queen Matilda to Elizabeth I and from Harriet Martineau to Theresa May, British women have long exercised influence and power out of all proportion to their legal status. Despite this, women have only gradually moved towards economic, social and political equality with men and, in the eyes of many, this achievement remains incomplete. This session will attempt to trace the evolution of women’s rights over the centuries, and will focus on some the women (and men) who advanced feminism in this country.